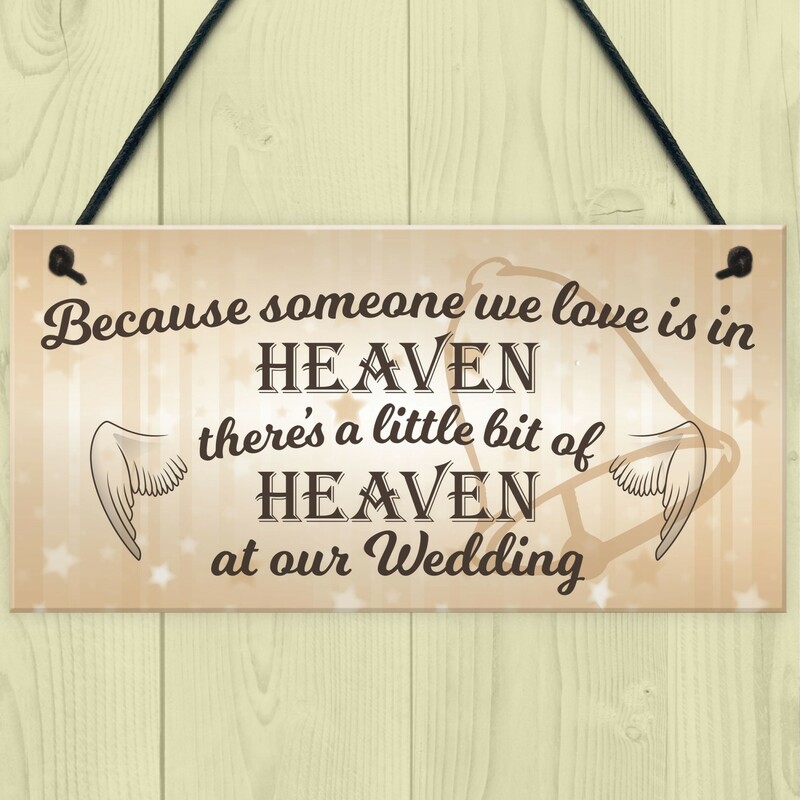 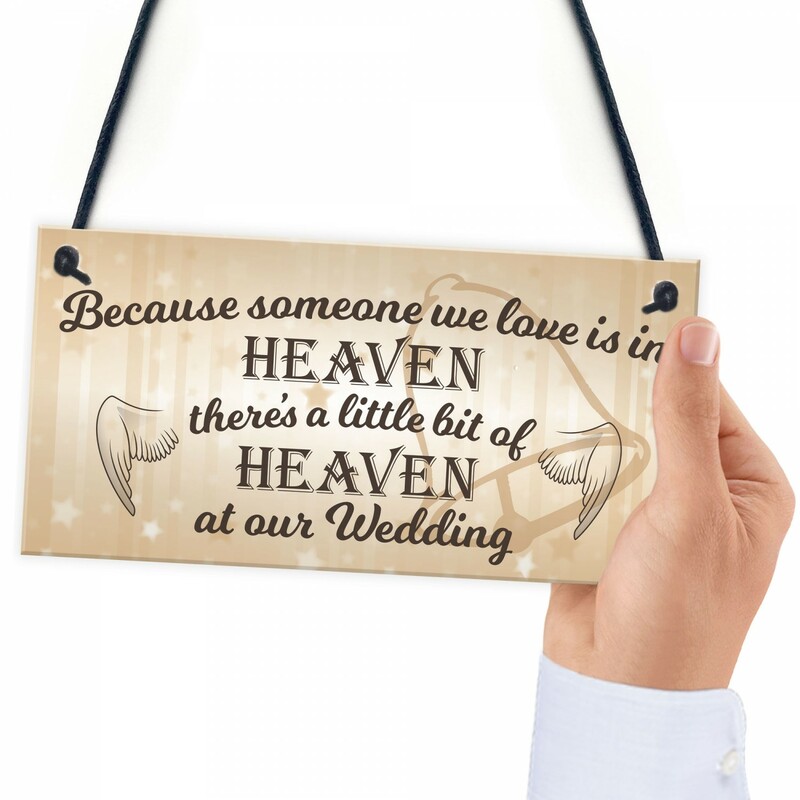 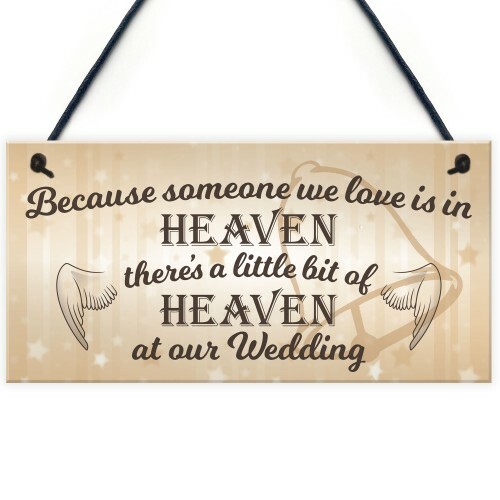 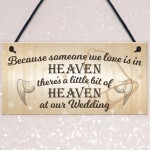 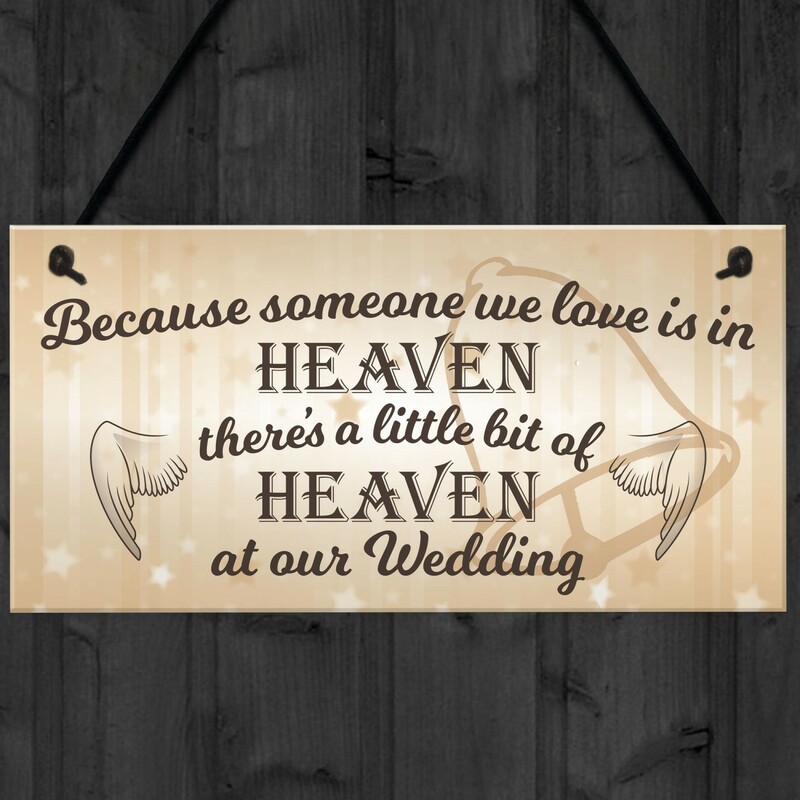 The perfect plaque to have when someone you really want to be at your big day sadly can't be with you, This plaque will not let you forget about the loved one you have sadly lost and will remind you of all the good times you had together every time you see this plaque you will smile and think of that lost loved one. 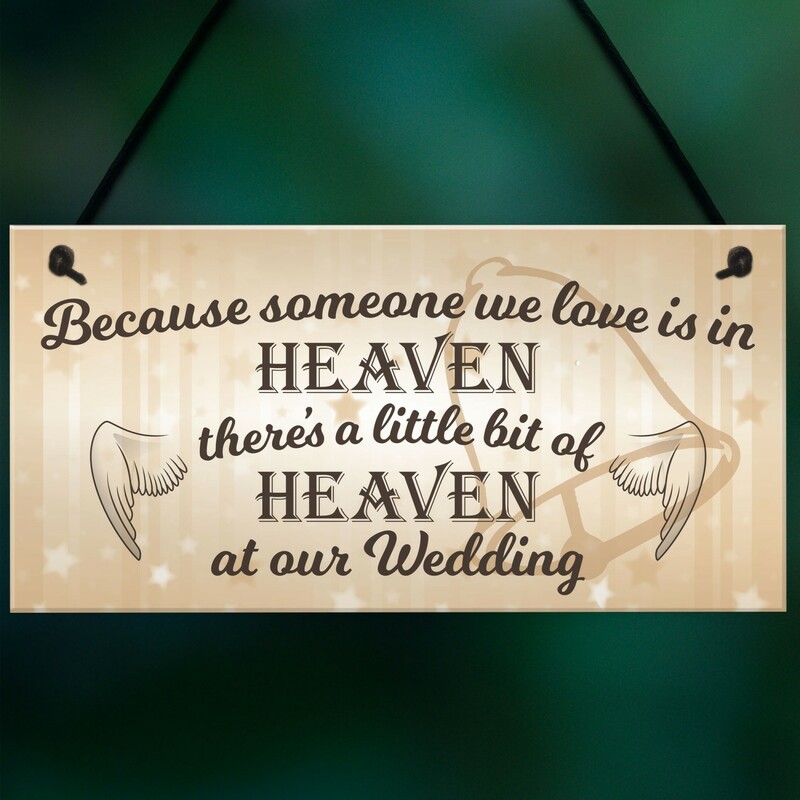 The plaque is made from high grade PVC, is 5mm thick and will last for years to come. 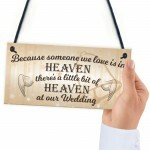 The design is printed onto the plaque, paying close attention to fine details and finishing. 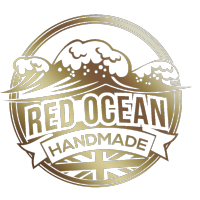 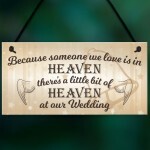 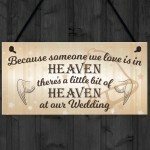 The sign plaque is supplied with waxed cotton rope to allow easy hanging and looks great in any room of the house.